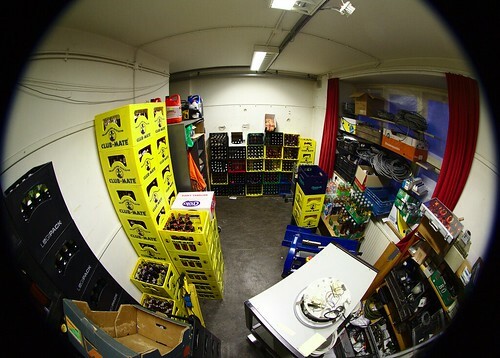 It was time to re-stock Hackerspace Hack42's Bar and drinks supply. Our regular supplier, Getränkehandlung Rabe, came along with a delivery van with goodies. We used our roller conveyor tracks to make a path to the storage room. It was most efficient and the delivery man was well impressed. We take great pride in being able to offer a diverse selection of drinks, we usually stock up on anything that looks fancy in Rabe's wide range of drinks.